A real sweet treat, this sharp Bronze Metallic/Saddle Tan interior Woody is a keeper! Two-owner Estate Jeep, always in the Dallas, TX area and very low, original miles. Starts right up and drives out strong and smooth. Well cared for and professionally maintained. For those who appreciate the classic Jeep styling, round gauges and grille, this Jeep is the right one to check out. The frame/undercarriage reflects the great care and rust-free environment it has enjoyed since rolling out of the show room new in 1984. 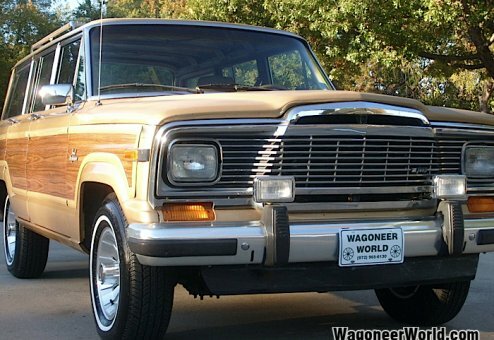 This is one great, original, well-preserved Jeep that you will love to own and drive. Perfect for everyday driving or for use as a fun weekend or cabin vehicle. Minty, nice and super low original miles!